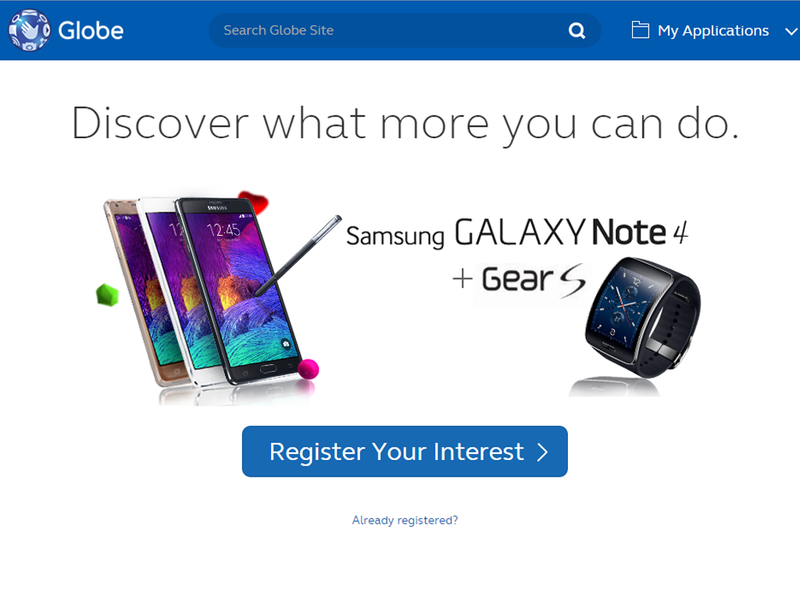 A week after Smart Communications opened its pre-order page for Samsung Galaxy Note 4, Globe Telecom launches their pre-order portal for the Note 4 and Gear S smartwatch. Although the company did not reveal much information yet on their portal as to what type of postpaid plans will it be offered nor the additional cash out it will require, interested customers may now sign up to pre-register and choose the preferred color of the device in advance. The company will offer the Snapdragon 805 quad-core variant of Note 4.